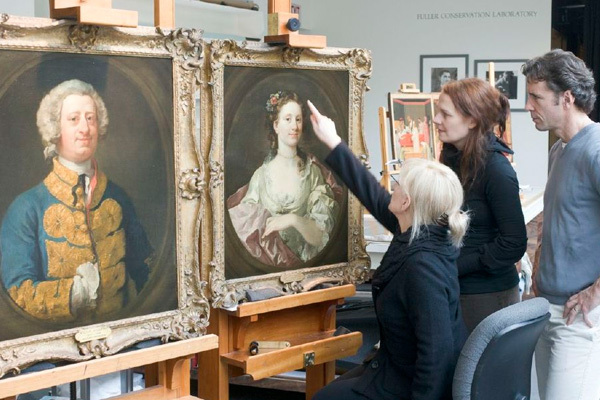 The next Jeppson Idea Lab re-introduces two of the Museum's most splendid portraits: William James and Elizabeth James by 18th-century English artist William Hogarth. They were the first Hogarth oil paintings acquired by an American museum when WAM purchased them from a London art dealer in 1909. Prominently displayed for almost 100 years, they were taken down in 2008 for gallery renovations. It was then that staff realized the paintings had never been comprehensively evaluated by conservators. Layers of built-up varnish had discolored over the decades, and the portraits were no longer a fair representation of Hogarth's skill. Thanks to a generous award from the Netherlands-based European Fine Arts Fair (TEFAF)/Museum Restoration Fund, WAM conservators were able to embark on the long overdue restoration. They conducted a technical analysis of Hogarth's materials and methods and scrutinized the artist's bravura brushwork using high-resolution microscopic imaging. 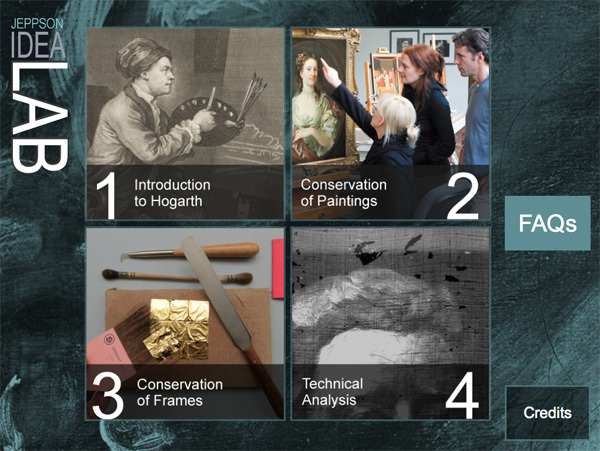 The Idea Lab—a public forum for sharing questions and research about specific objects—presents the results of this analysis, shedding light on Hogarth's techniques and how they affect the way his paintings have aged. Join us as we put the Jameses' portraits back in their rightful place as showpieces of the Museum's British paintings collection. With a striking, newly revealed color palette, broader tonal range, and conserved frames, visitors can finally view this impressive pair as Hogarth intended almost 300 years ago. Preserving Mr. and Mrs. James: Worcester Art Museum conservators Rita Albertson and Philip Klausmeyer discuss their work restoring the Hogarth paintings.